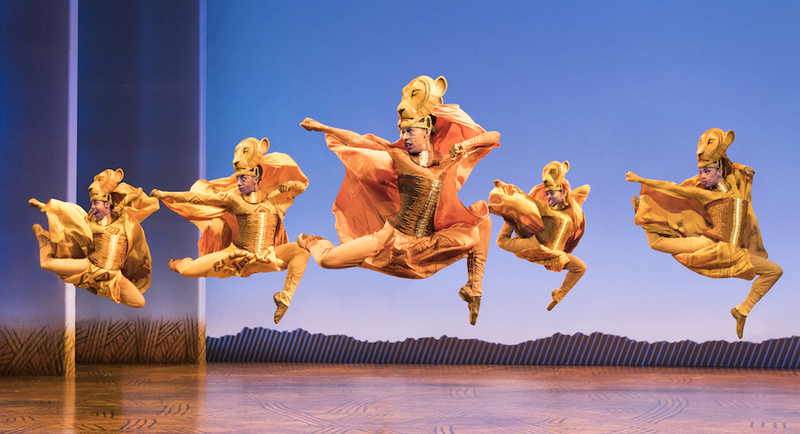 Lionesses Dance in 'The Lion King' North American Tour. ©Disney. Photo by Deen van Meer. It’s easy to understand why Disney’s The Lion King is billed as the “world’s #1 musical”. On Thursday, January 11, it came roaring into Atlanta’s Fox Theatre, playing to a crowd that erupted into enthusiastic applause four different times in just the opening number alone. This long-standing musical won six Tony Awards, including Best Musical when it premiered over 20 years ago, and continues to reign supreme with its worldwide gross exceeding that of any film, Broadway show or other entertainment title in box office history. The award-winning costumes and memorable music have wowed patrons at 24 global productions that have played in cities on every continent except Antarctica. Gerald Caesar as Simba in ‘The Lion King’ North American Tour. ©Disney. Photo by Deen van Meer. 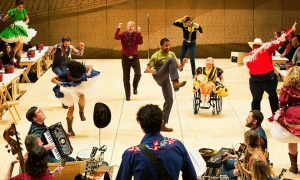 It was impossible to wipe the smile off our eager faces at Thursday’s performance, even when a technical snafu prompted a momentary pause in the show at the end of the big first number, “The Circle of Life”. Mark Campbell, as the treacherous, scheming lion Scar, brought the curtain back up by delivering his line “Life’s not fair” in a deliciously sinister way. Atlanta native Nia Holloway, who has played grown-up Nala over 2,000 times in the touring production, gave a memorable performance to a cheering home town crowd. 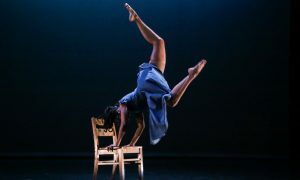 The almost six-foot tall actress and dancer was the embodiment of female strength and power, a role model as poignant today as when The Lion King premiered 20 years ago. The lionesses through dance and song continue to hold the pride together after Mufasa’s death, when Scar takes over power, bringing Pride Rock into ruin while he bitterly complains to his hyena minions (hilariously played by Martina Sykes, Keith Bennett and Robbie Swift) about how maligned he is being treated. Buyi Zama as Rafiki in ‘The Lion King’ North American Tour. ©Disney. Photo by Joan Marcus. 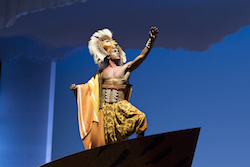 Other standout performers were Greg Jackson as Zazu, Buyi Zama playing Rafiki, whose vocal and comedic gifts bring this production tremendous life, and Mark Campbell, whose portrayal of Scar made you shiver. The song “Chow Down” feels jarring and incongruent next to the other beautiful music and well-loved songs like “They Live in You” and “Hakuna Matata”, but it perfectly illustrates how Scar himself doesn’t fit in to the rest of the pride. 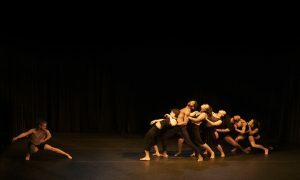 The dancers featured in this number stole the scene with their high-energy (and very together) jumps, attitude turns and high extensions. 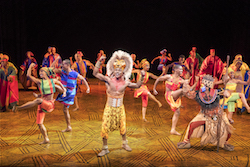 Gerald Caesar and company in ‘The Lion King’ North American Tour. ©Disney. Photo by Deen van Meer. Much has already been written about the exquisitely detailed and creative costumes, which were no doubt jaw-dropping, but as a dancer, what I found most interesting was how their construction not just enabled but also challenged the actors and dancers to use movement with their head, shoulders and torso to manipulate the masks and puppets in a way that added such depth to the portrayals. The way that Scar and Mufasa’s masks were able to rise up and down over their face gave tremendous opportunity for the actors to use movement to their advantage in a way that a traditional costume would not. 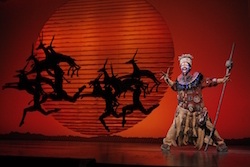 It’s not easy to anthropomorphize beloved animal characters into a human musical, but The Lion King’s success comes from the use of movement, dance and Garth Fagan’s brilliantly musical choreography. Additionally, the use of dancers to portray the grasslands, bushes and trees is mesmerizing and works because the rest of the set design is clean and uncluttered, allowing the dancers to shine. It is beautiful to experience the unified joy that The Lion King’s story still provides audiences. It’s hard to find situations today when thousands of people from very diverse walks of life, culture, race and background can come together in an audience and collectively smile, cheer and tap their feet to a coming-of-age story that will undoubtedly continue to resonate for generations. By Emily C. Harrison of Dance Informa.